While on a retreat, I discovered — by sheer chance — a lovely little gem of the United States Forestry Service. A volunteer run fire lookout post way,WAY off the beaten path. Suntop Lookout was nearly an hour of back-country Forest Service gravel roads, but the views were worth the trip. 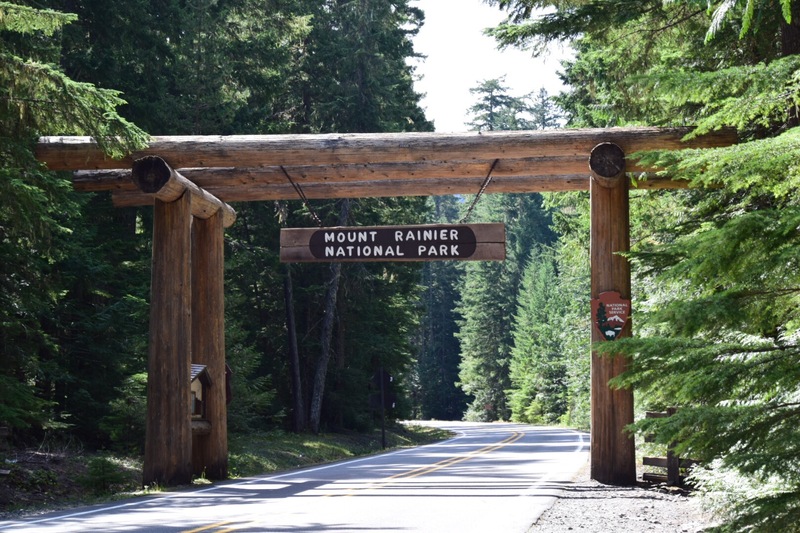 If you want to know just how far off the beaten path, you turn off WA-410, the Mather Memorial Highway**, onto National Forest road 73 (NF-73) and after a mile or so turn off onto NF-7315 and it’s about five and a half miles more. Once you begin the ascent the gravel road is a bit daunting, there are no guard rails, and while a car can make the trip, a good 4WD is a good option. Severely places have runnels in the gravel bed and it gets narrow in places. 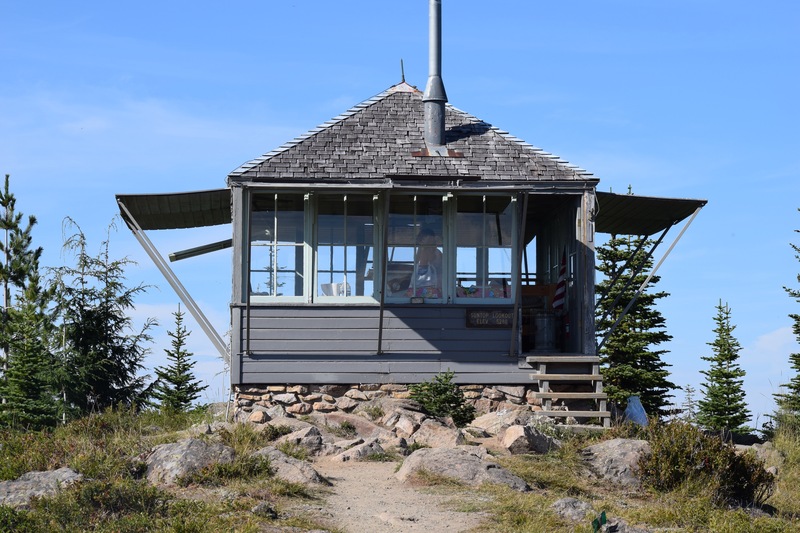 From an elevation of 5280 feet above sea level, the Sun Top Lookout has a commanding view of the Northern side of the Mt Baker-Snowqualime National Forest, and of the Northern face of Mt Rainier. Most of the old fire lookouts were mounted on towers, the likes of which are fairly common in most National Forests even if they are not used anymore for watching for forest fires. The young lady that was the volunteer that day was polite and knowledgeable of the local area, and was quite enguaging. I did not ask her name and she did not offer it, and frankly that’s ok for such a out of the way place. The history living in the lookout shed itself was as much as lure to me as was the view. The original azimuth finder was still there, and reasonably functional. While the handle was missing, the inner dial still moved with a smoothness that implied a precision instrument. It’s use is similar to a Lensatic Compass. One arranges the taller peep sight with the target and then with one’s dominant eye, peep through the slit and place the crosshairs on the other side of the instrument on the target. Looking down at the base of the tall peep sight is a marker that points to the base of the instrument that is marked in compass headings. At this point the metal strip suspended over the map gives one the chance to mark their target against landmarks on the map for a rough range. If several lookouts pin-point a target in this manner, an exact fix can be made using trianglation. Modern surveillance equipment does not require such manual methods anymore, but it’s an fascinating look into the past. 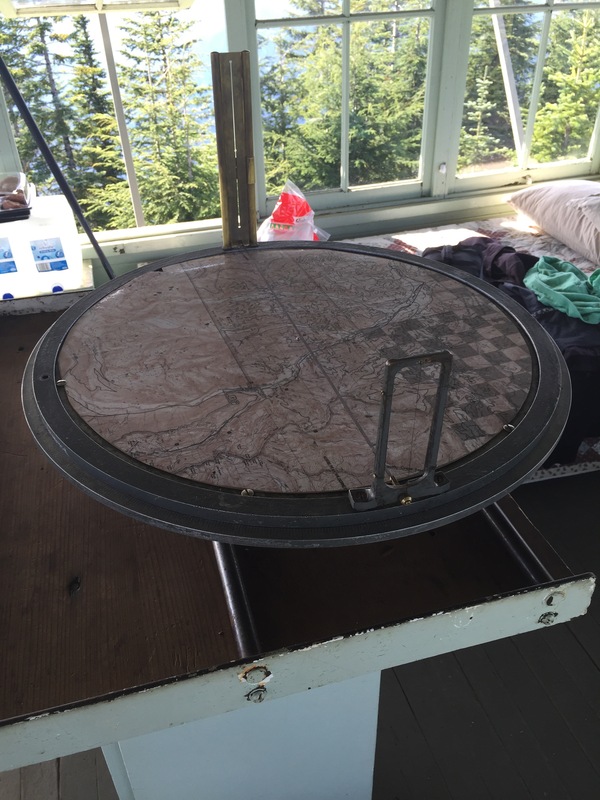 One other neat tidbit from the trip was the “prayer stool”. 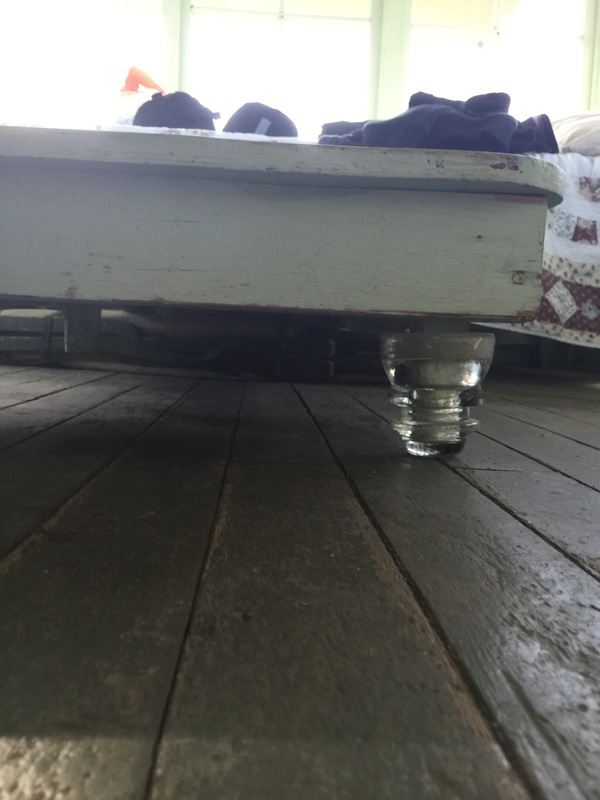 This object was an L shaped stool that had glass insulators on its legs. The volunteer said that if there was an electrical storm in the area one would stand or kneel on the prayer stool and do a lot of praying. I should not the building has an adequate Lightening Rod system in place, but this serves as an additional example of the robust souls that would man these lonely posts. That however was Yesturday. Today I’m on Crystal Mountain at the Summit House as I write this. It’s a lovely ski village near the Sunrise side of Rainier. Lovely country out this way, and not at all rainy like Seattle is. ** If the name Mather rings a bell, it should because I’ve spoken about him before. Stephen T Mather was a prominent figure in the formation of the National Parks System and the first Director. The Lodge at Petit Jean State Park in Arkansas is also named for him, which is where I spoke of him before. I don’t know if it was ever used in a film. That said, while the area was remote it would make for the kind of place location scouts enjoy finding. It was a lovely piece. I enjoyed.